This year marked the 20th anniversary of Turbo, the famous 90's idol group. Moving on with time, they prepared their style of old school music as a gift for their fans during this holiday season. How do they maintain their youth and passion for music? At the age of almost forties, some people says that it is hard to compete with the younger idols. 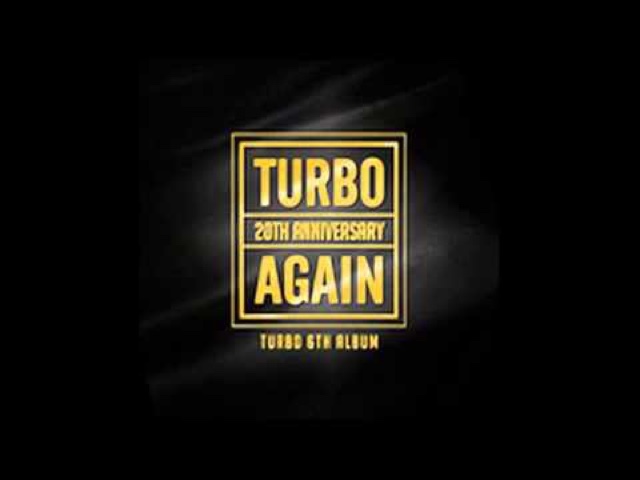 However, I think Turbo re debut is to celebrate their 20th anniversary and for old fans like us who reminisce about old school music. I am pleasantly surprised by their energy and they do look good dressed in all black. This time round, Turbo re debut as a trio, instead of a duo. Mikey and Kim Jung-nam are rappers of Turbo and it is interesting to see them join forces to perform with our vocalist Kim Jong Kook.Turbo will always occupy a special place in their fans heart, despite so many years. If you have not seen their music video, do check them out! This is the old school style of Turbo music and credit goes to Kim Jong Kook who make this reunion so special. I love the way Kim Jong Kook took care of his buddies and worked hard towards his goals. They did their best to perform and dance for their fans for this past twenty years. I am personally moved by their sincerity to deliver their best. Turbo is united as one team now and have overcome many difficulties along the way. Everything about them is old school, from their appearances to their music and dance. Bravo to them for keeping up with times and being as spontaneous as the youngsters. Yoo Jae Suk are featured at the beginning and at the end of the track, introducing himself as MC Nal Yoo. Additionally, actors Cha Tae Hyun and Lee Kwang Soo make a special cameo at the end of the video as the credits thanking everyone who has participated in the creation of the 20th anniversary music video rolled through. I heard the Chinese version of this song and it sounds really weird, but who cares? It is Turbo! This song is released during the Christmas season to the delight of their fans. The music video is very cute and innocent, with dreamy snow as the background. I like to see the bromance between the three brothers and personally admire their friendship. The song has a tinge feeling of their previous hit song - December. For younger people who do not know them, they are the 90's idol group with hit songs such as Cyber, Black cat and Twist King. Yes, Turbo is back and i am looking forward to more of their performance in the future.